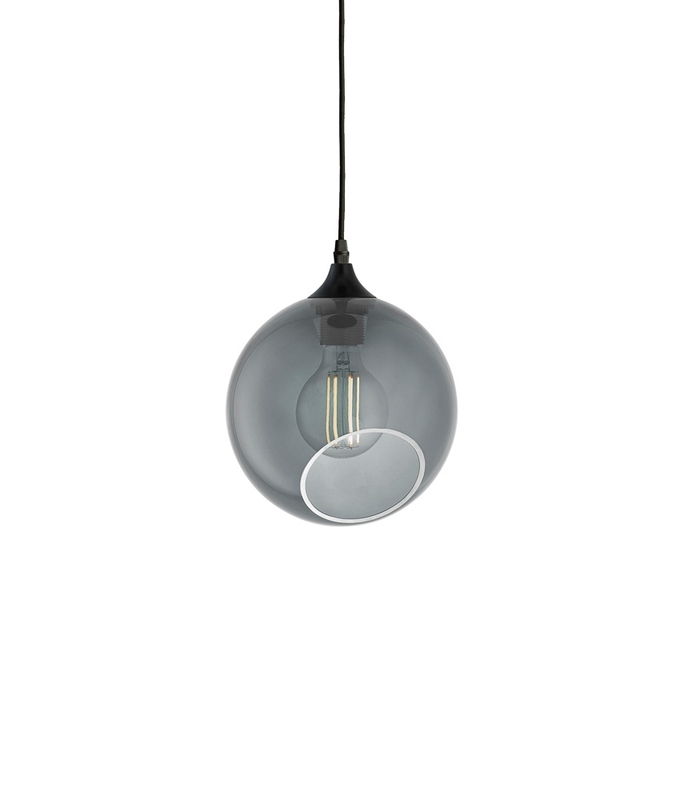 This mouth-blown series of lighting is by no surprise one of our most popular. 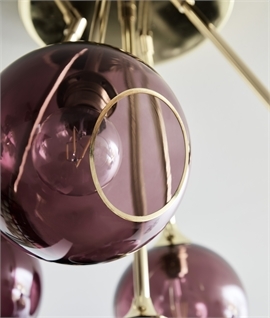 It fits any occasion or location and spreads curiosity in a cluster of colors or a simple row of smoky balls. 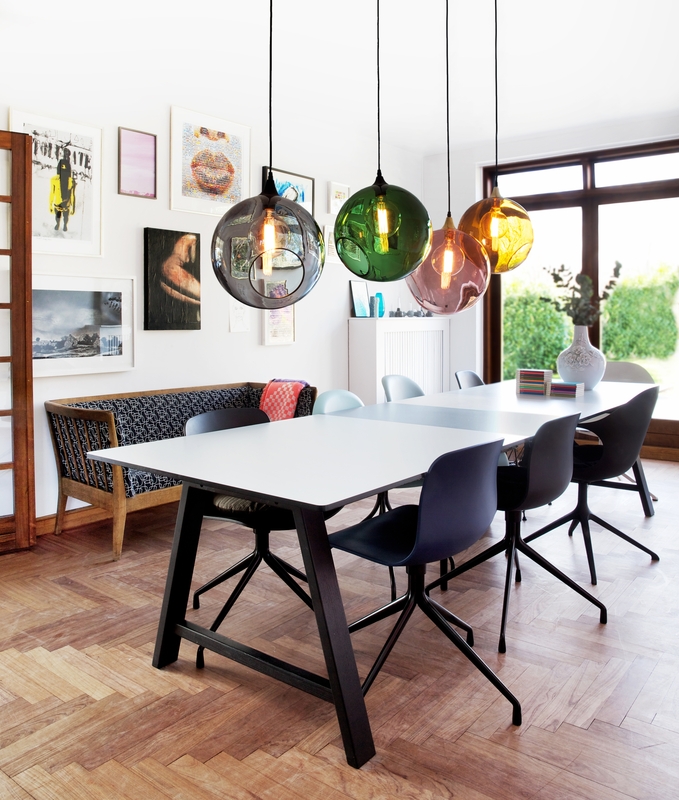 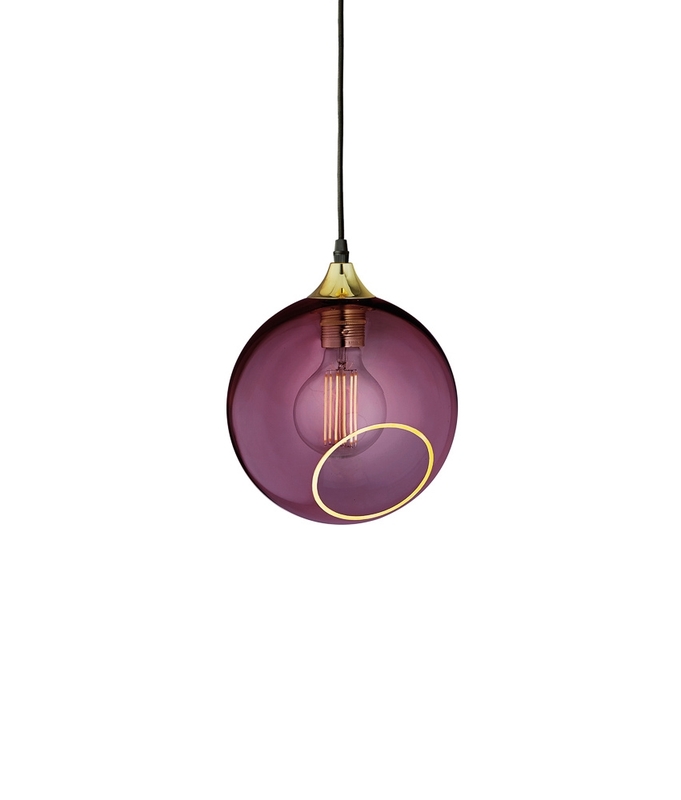 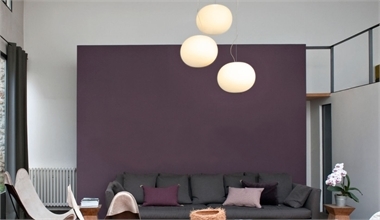 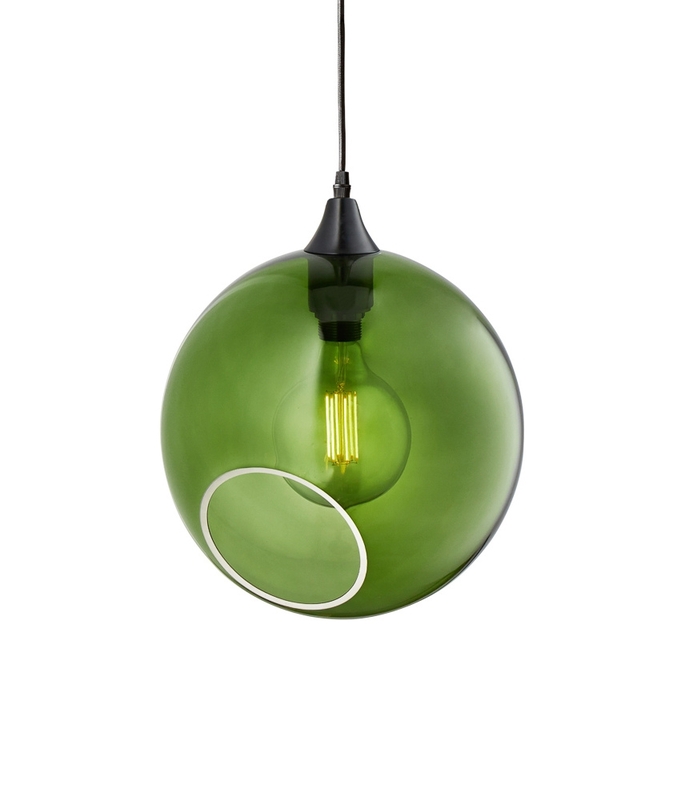 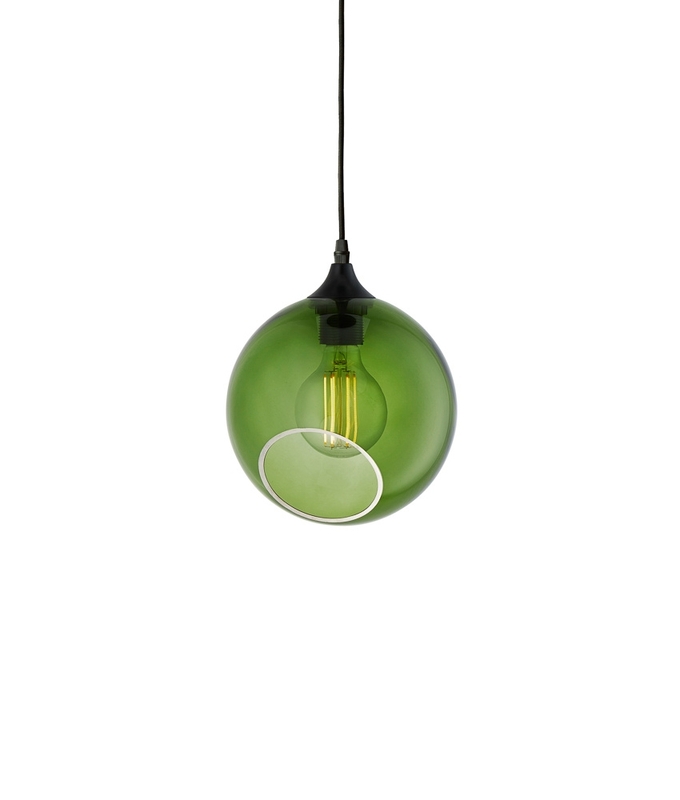 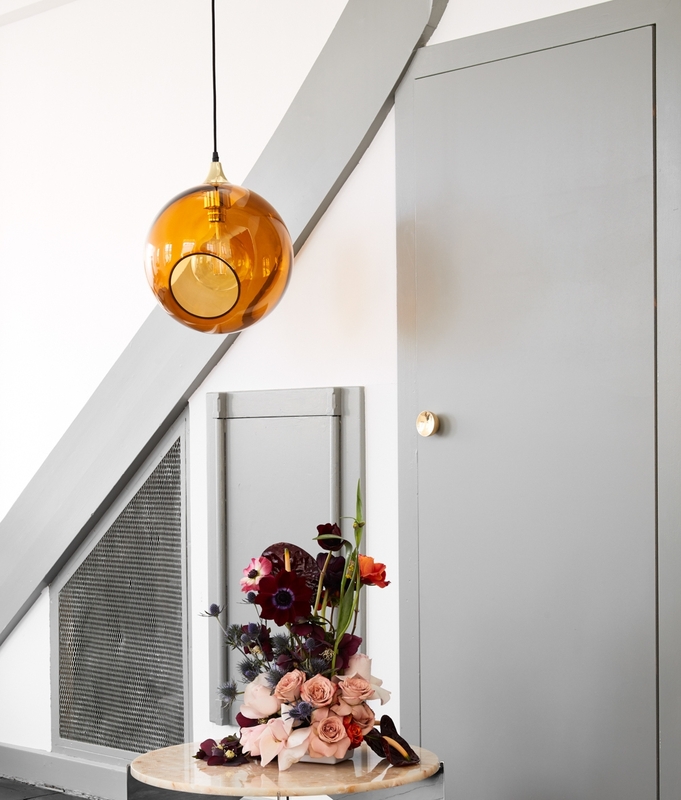 A Danish design hanging pendant with a glass shade and available in 5 very interesting glass colours and two sizes. 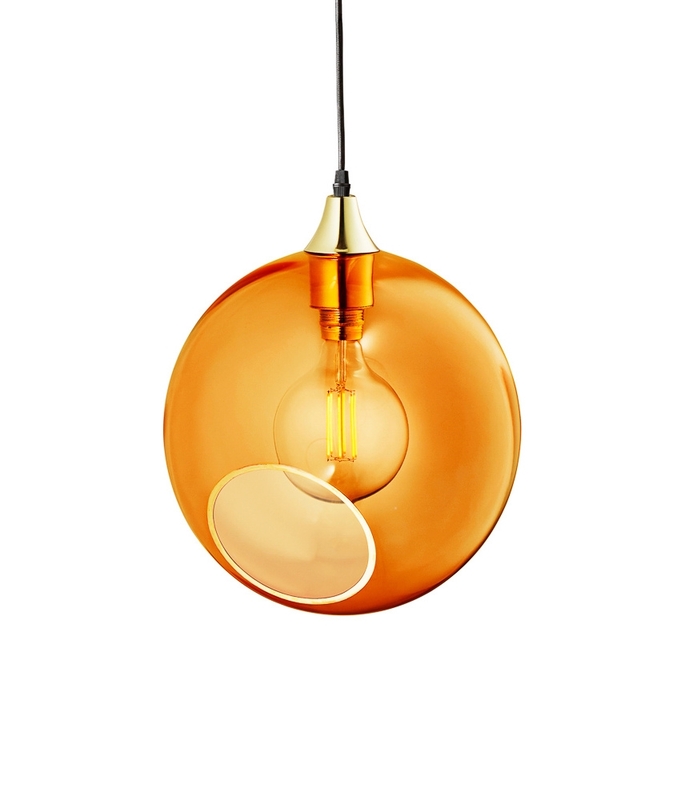 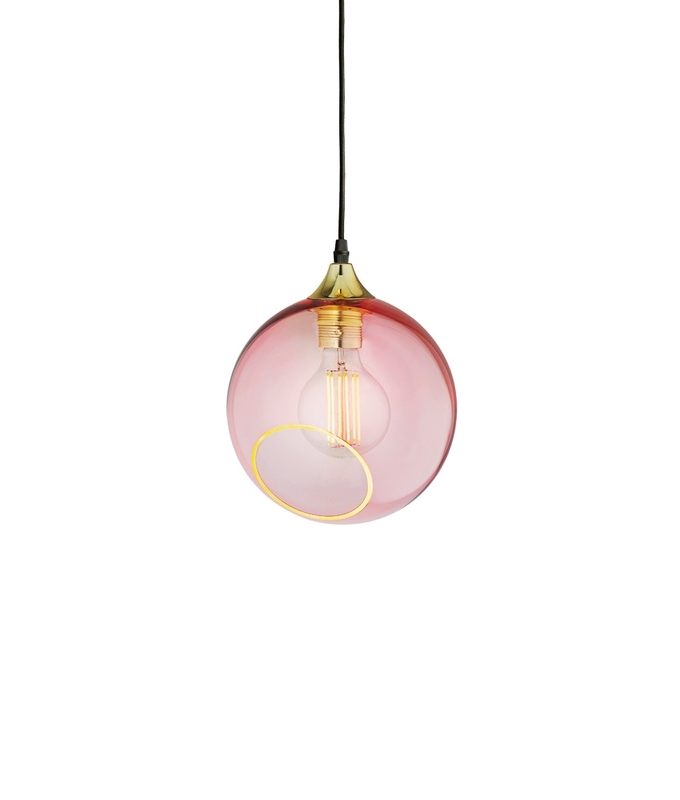 Each glass ball has a circle cut out to show the lamp and is edged in a contrasting colour of either gold or silver. 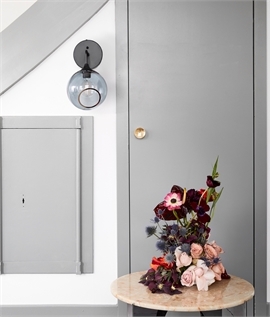 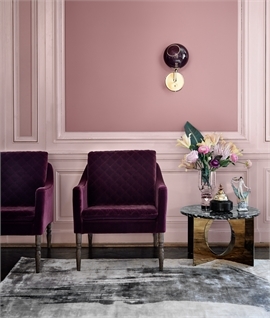 A wall light and chandelier is available to complement this light so you can opt for a co-ordinated design scheme. 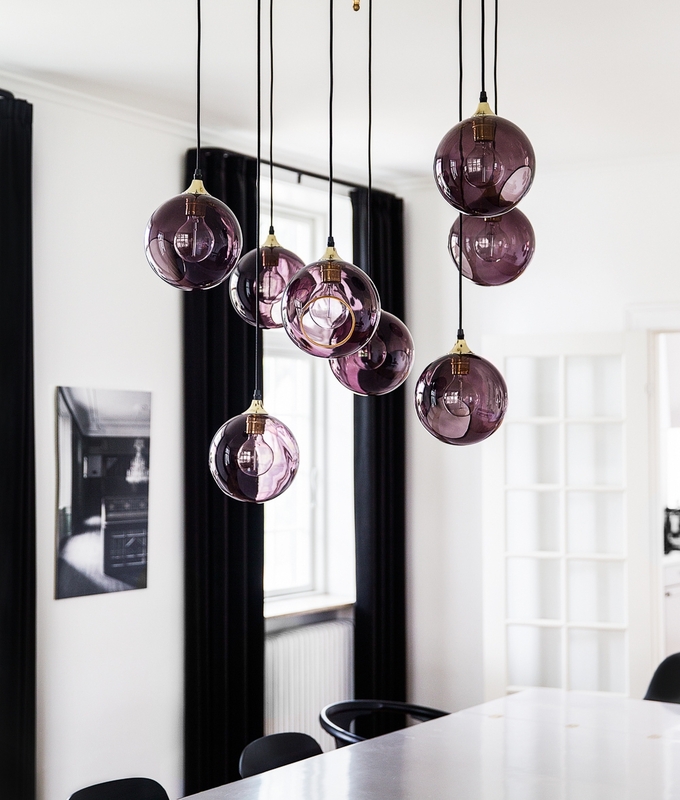 The hand painted coloured glass is mouth-blown and available in purple, army green, smoke, amber and rose. 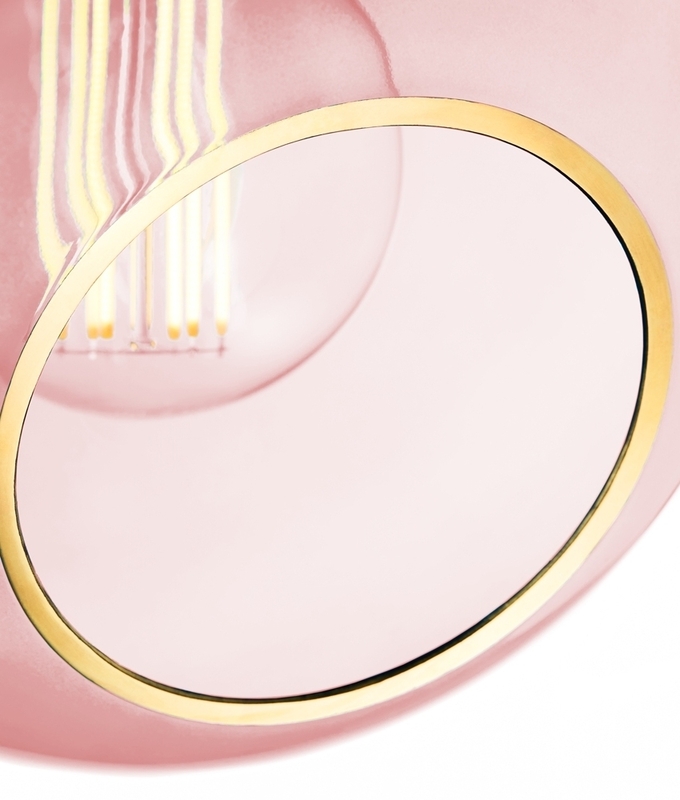 The cable flex is fabric. 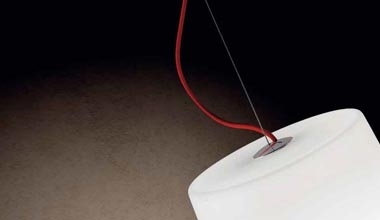 Designed for use with E27 mains lamps up to 40 watts each. 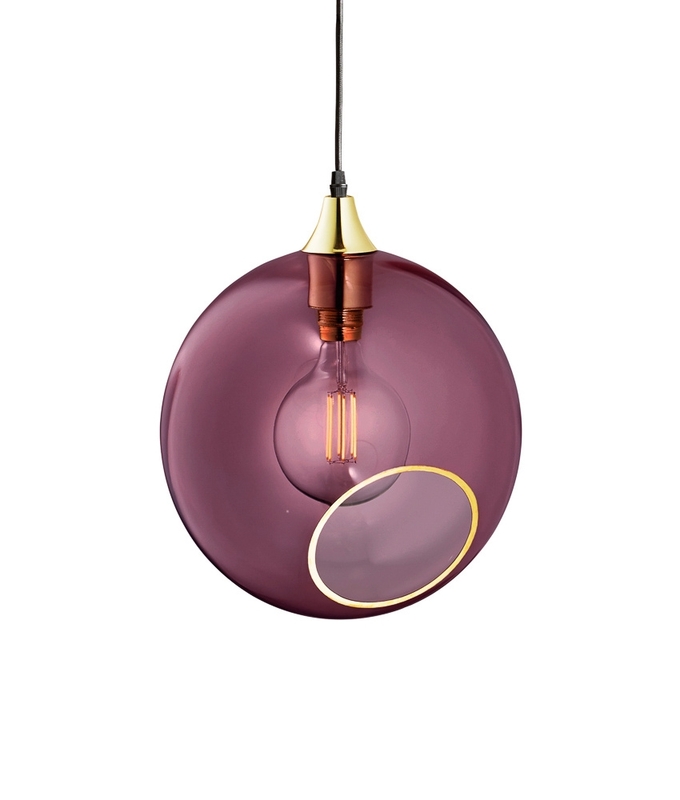 From 'Design by Us' a small team of highly energetic individuals, who are the entrepreneurs behind these delightful creative designs. 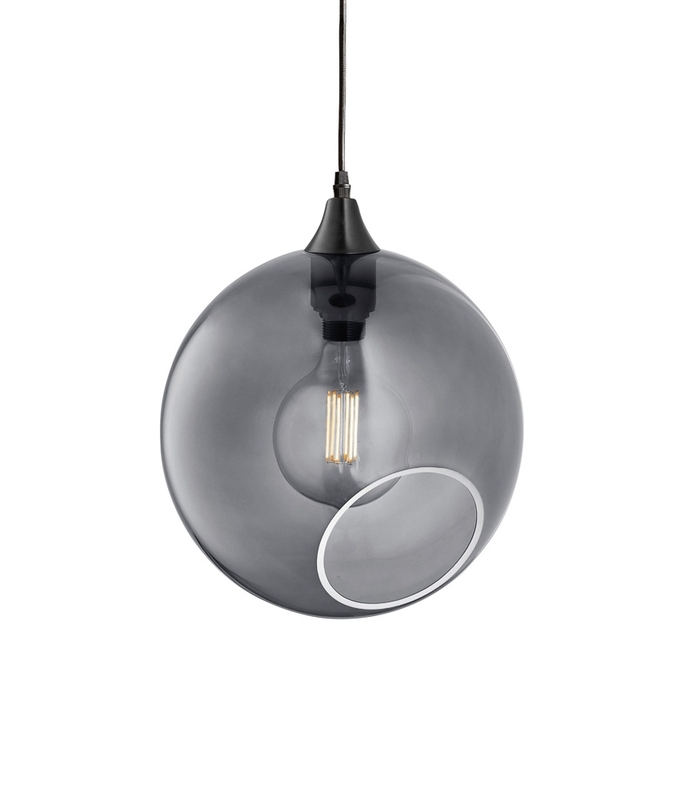 Each light fitting is derived from both trends and fashion fluctuations. 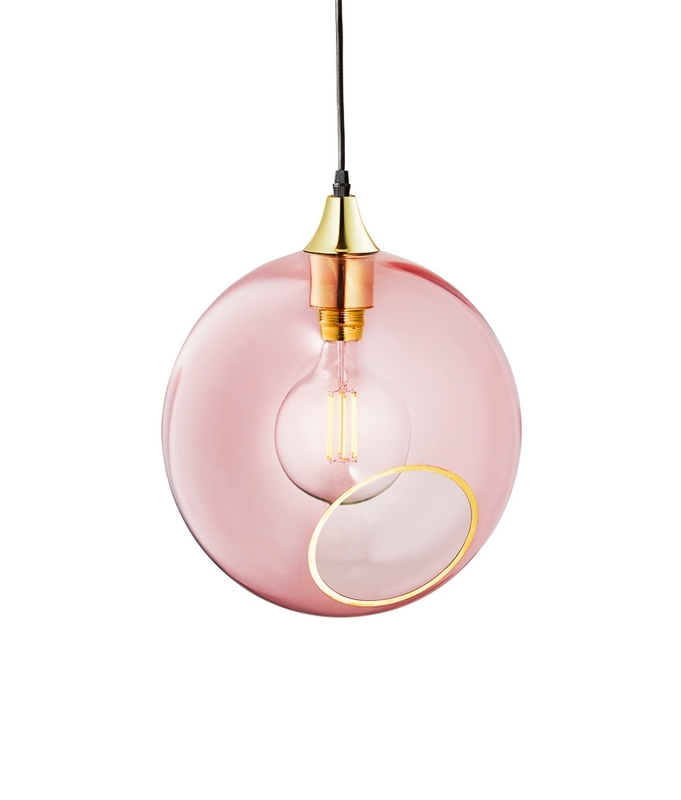 They design, create and customise, defining lighting by combining forms, content and colors into the unique expressions of the Danish design house. 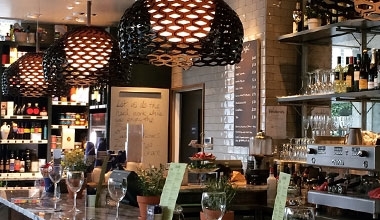 Great style, design and construction.